Though the animal remains endangered in South America, in the states things seem rosier. In Florida the animals have gone from a scant 300 wild animals, to 2,000. Though this pales in comparison to the amazing comback that the American alligator (Alligator mississippiensis) made (over 1 million individuals live in the Southern U.S.), it is still an impressive bounceback. 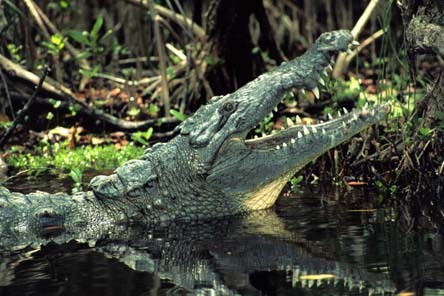 Kudos to the American croc and the conservationists who worked tirelessly to bring it back from the brink.